Looking for something great to read? Browse our editors' picks for the best books of the month in fiction, nonfiction, mysteries, children's books, and much more. Ships from and sold by Wordery Specialist. 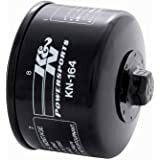 I have a '92 XLH 1200. 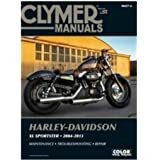 I've got the service manual and it's got everything but this Clymer manual is a great addition. Sometimes it's nice to have 2 references, especially when things get confusing. If you work on your bike you probably need this book as it's got all the specs and torque values, diagrams or photos on nearly every page and it covers everything you'll ever want to do. Particularly nice is the Troubleshooting section in the beginning of the book. It's long and covers a ton of potential "won't start" problems plus a whole bunch of other stuff. Don't give the price a second thought; it's worth every penny. Bought a used Sportster without an owners manual. 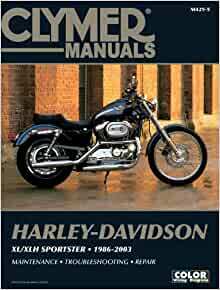 I debated whether to just buy an owners manual from H-D or the Clymer manual and I don't regret going for the Clymer book. It is extremely thorough and covers so much more info than any motorcycle owners manual that I have ever had. 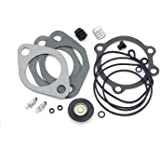 Besides all the normal things you would expect in a typical owners manual, this book has very detailed, yet easy to follow, maintenance and troubleshooting information that should cover anything you would ever need to do to your bike. Lots of pictures and illustrations to explain every detail. I am not a mechanic at all, but with this book I feel very confident in working on my bike myself. 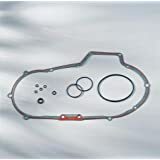 5.0 out of 5 starsIf you work on your own vehicles you need this. Has saved me 10 times the price of this book already by showing me how to do work myself instead of paying a shop to do it. Clear instructions, great photos and drawings. I buy a Clymer manual for every vehicle I own. 5.0 out of 5 starsA good service manual! It is an awesome manual. Chapter three is the maintenance chapter that the book refers to throughout all the chapters. If your on a later chapter doing something and the book reads make an adjustment it always says refer to chapter three. It is not a big deal but it gets old having to go back and forth looking for the steps to adjust something. It is much better than the haynes guides IMO. 5.0 out of 5 starsAwesome book. Must have. Just picked up a 99 sportster to wrench on. This book is an invaluable tool in my road to organized choas. If you own a Sportster, this will be your second best investment! 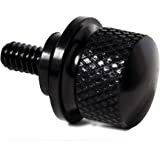 !This has saved me so money allowing me to do any kind of repair myself. Shipping was fast and price was good. 5.0 out of 5 starsThe book or the shop time money: Do the math. The book would weigh more than the engine block. Add TLC and your Sportster will live a long healthy life. This is a good repair manual. I own several Clmyer Books for different Bikes and Cars I own or have owned. Saves me a lot of money to have the book. The breakdown of tasks is good. The torque specs are always given, although sometimes you have to search for it as they use tables for different information. You'll find yourself flipping around the book to get some information, but not that bad. Others can be even more difficult. The only draw-back to Clmyer books is the index. Very weak, and I've yet to be able to use it effectively. I find it best to go to the Table of Contents and common-sense my way into the section and then find what I'm looking for. Can be frustrating, but the information is always there. You just got to find it. If they ever improve the Index, these would be great books.